Pioneer Records is proud to support local Pittsburgh artists. 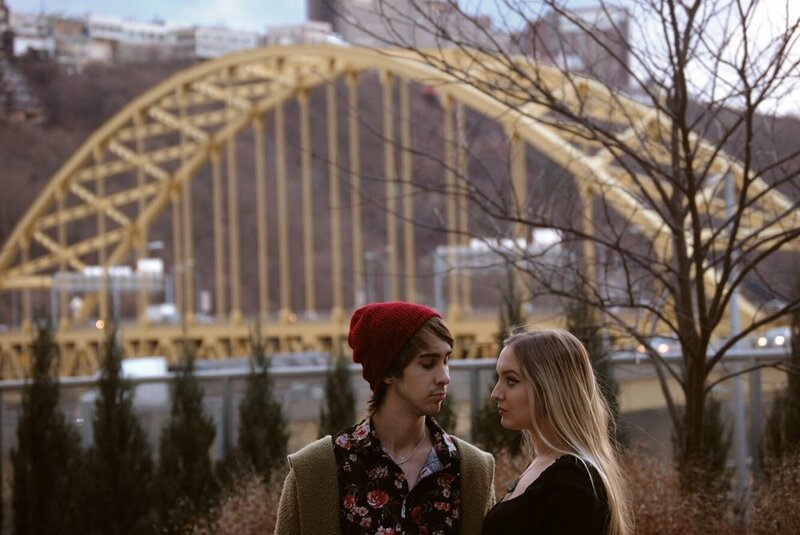 Pioneer Records’ Talent Agency supports the local Pittsburgh music community and strives to connect rising artists with live performance opportunities. Below is a list of current artists represented by Pioneer Records. Please email Amber Motz, The Director of Talent and Booking at booking@pioneerrecords.org for more information. Originally from Johnstown Pennsylvania Bryana Appley is a home-grown singer, songwriter, and musician. Now a sophomore at Point Park University, Bryana is pursuing a degree in Entertainment Management to help network her career in the music industry. She’s won multiple awards for her original compositions including the Krista Chervchko Memorial Music Scholarship. In 2017, her passion for music was nationally recognized and awarded by Taco Bell. Bryana has since performed throughout Pennsylvania and Ohio, and plans on releasing original work in the near future. Kelsey Roche is a country singer/songwriter from Irwin, PA. She started writing music when she was 12 years old and now at 22, has began a full-time songwriting career. Kelsey grew up listening to some of the best country females of the 90s, such as Shania Twain, Reba McEntire, and Faith Hill. Those country influences have made Kelsey's music what it is today. Tupelo Donovan and Noah Myers are a alternative-pop duo hailing from Pittsburgh, Pennsylvania. They play original music, along with an arrangement of covers, covering artists such as The Script, Coldplay, Kings of Leon and many others. They’ve played places such as Mr. Smalls Theatre, the WYEP Summer Music Festival, Millvale Music Festival, and many more. They currently are working on a five song EP that is planned to be released in the summer of 2019. Stefan Triveri is a multi-instrumentalist musician from Wheeling, West Virginia. He is a founder and member of the bands: Down Story, Voyager, The Endurance, THE SKOPPS, and Weekend at Carl’s. With all of these projects combined, Stefan has released four EP’s, one album, and three singles, with another full length record and single on the way. He has also directed and produced two of his own music videos. “Voyager”, Stefan’s solo work, can be streamed on Spotify. Bands and artists that influence Stefan include: Angels & Airwaves, Pink Floyd, Coldplay, William Ryan Key, Childish Gambino, Thirty Seconds to Mars and many more. Pietro is a singer and musician from Torino, Italy, who is trained in various guitar styles. He has previously worked with bands and most recently as a solo artist, accompanying himself on guitar. His lyrics are both in Italian and English. Pietro also has experience in electronic music, recording/producing, as well as composing soundtracks for short movies. His passion for music comes from his two musician/composer brothers, who nurtured and supported his creativity and musicality growing up, and with whom he now collaborates with on projects. Pietro is a Junior Musical Theater major at Point Park University and he’s working to complete his next album, which may include theatrical elements.